The Futures League Regular Season has come to the end and the 2018 Playoffs are set!!! 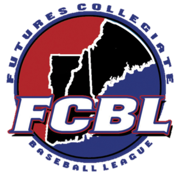 The #1 Seed Martha's Vineyard Sharks and #2 Seed Worcester Bravehearts have a 1st round bye!!! While the remaining four teams will play in a winner-take-all play-in game tomorrow night at 7PM. The #3 Seed Bristol Blues Baseball play host to the #6 Seed Pittsfield Suns tomorrow night at Muzzy Field. The #4 Seed Brockton Rox Baseball play host to the #5 Seed Nashua Silver Knights tomorrow night at Campanelli Stadium. For more information on the entire playoff schedule and format follow the link below!